To get this job you have to demonstrate your skill to the customer which is definitely 50% fulfilled if you are exadata certified. If you go to any Oracle customer who are on traditional oracle setup, all are thinking switch to the exadata machine because of many benefits for business as well operational. The level of demand continues to grow with each new version of exadata around the world. Lots of Oracle professionals are there but if you are certified with exadata than it will raise your visibility and increase the chance to get a job with high salary. 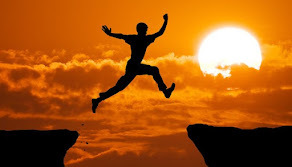 It will also help you to be ahead than others who are still working as traditional DBAs. We are not saying that there is no scope for traditional DBAs but certainly better scope who has exadata certification credentials and knowledge. No doubt certification is not an indicator of a person's ability to do a job but definitely it will make a different impression on the employer if you are certified. Now a days customer also ask whether employee are certified or not, based on that they decide to do the business with any firm so in this case certification will help to grab the opportunity. "If two people with roughly the same background and experience are vying for the same job, the certified person will usually get to the top of the HR pre-screening pile. Certification gives an employee the edge." As a fresher you don't have that much knowledge but if you are certified than you can get better chance than others as it will at least show a certain level of knowledge and a commitment to learning the Oracle technology. If you see around, demand is growing for Oracle exadata professional. In near future it could be possible that small or big organization has to move on exadata either on private or public cloud. Certification credentials also helps you to improve your earning power. Companies value skilled workers. According to Oracle's 2012 salary survey, more than 80% of certified individuals reported a promotion, compensation increase or other career improvements as a result of becoming certified. This is the right time to earn exadata certification credentials because of the limited resource availability in the market, you can grab the opportunity to make your place as a DMA. If you want to easily obtain your exadata certification, the first thing that you should consider is to demonstrate your abilities and excellent knowledge. Those individuals and consultants who already attain their professional level exadata Certification belongs to elite group and at the same time they have exceptional and successful career than those individuals and consultant who have not yet obtain their exadata Certification. Exadata certification is also considered as long term investment that will greatly help you to attain your future career success. The success in obtaining exadata certification cannot be done overnight since it requires time, effort, passion, dedication and hard work. It is very important to know the types of exadata certification. Choose wisely which can fit in your role. You can also go for both which will make your profile brighter. Remember only passing this exam will not help you. You have to clear the interview which obviously more over on database machine. 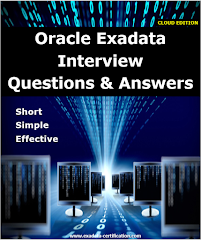 You can go through the post where we have covered generic Exadata Interview Questions and Answers. There are two type of certifications available one is for implementer and other one is for administrator. It covers exadata architecture,features, configuration, maintenance, support. This is more over covers exadata implementation part. This certification helps for the role of exadata Administrator. 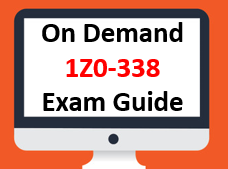 This is advance certification the 1Z0-485, it required in depth knowledge of exadata administration. 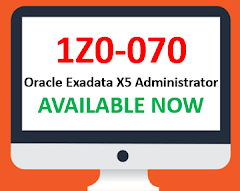 It covers exadata features and configurations, exadata Storage Server; migrating to the Database Machine; and maintaining, monitoring and optimizing the Database Machine after initial configuration. In short it covers whole administration tasks which are required to manage the exadata machine. Labels: Exadata Certification, Exadata Interview Questions and Asnwers, Oracle Exadata Certified, Why Exadata Certified? Thank you for information and motivation. One of the best site to keep in favorite list for exadata learner. I’ve been browsing online more than 1 week for exadata related information, yet I never found any interesting articles like yours. How To Erase Data Securely On Exadata?